Successfully Added T3 dual bluetooth headset - bluetooth 4.2, Battery, Built-in Microphone, noise reduction, compatible with iOS and Android phones to your Shopping Cart. Listen to your favorite songs anywhere you go with these amazing Bluetooth headphones. 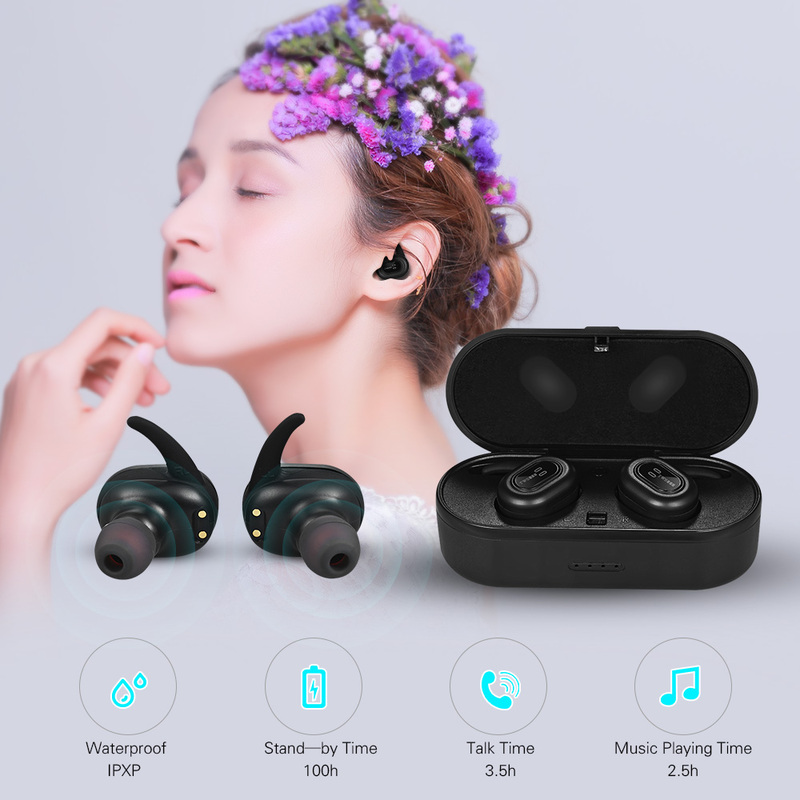 These wireless earphone come with a magnetic aluminum 300mAh charging box that allows you to charge your headphones on to go. Thanks to this, you can be assured that you’ll never run out of power during the day again. Additionally, this stylish case makes your ear buts easy to carry around in your pocket or bag without damaging them. Each one of your headphones comes with a built-in 55mA battery that treats you to up to 2.5 hours of continuations music listening time. Whether you’re at home, the office, or outside - from now on you’ll always be able to enjoy your favorite tracks.